So Lonely in Gorgeous: 15% Off Shu! For the last six days, I've been waking up at 5:00 am (my usual) and getting home around 10:00 pm. Needless to say, I haven't had time, or energy, to blog. I have a few more crazy days left, then I'm taking a mini vacation to nowhere; I just want to relax at home and not have to worry about any engagements. As usual, I want to share a promo code with you. 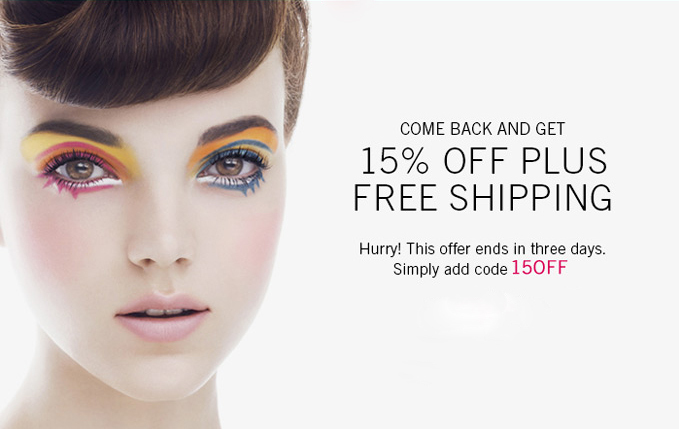 I wish cosmetics brands would offer these discount codes over here! Yes, counters have all these "gift with purchases," but, in all honesty, I would take the savings over a GWP any day!